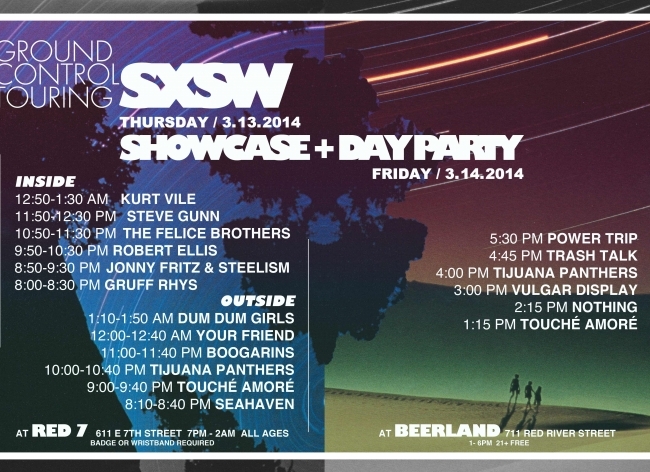 Ground Control Touring will host two events at SXSW 2014 in Austin, TX. Our official showcase takes place on Thursday March 13 at Red 7 and our day party will be held on Friday March 14 at Beerland. Further details and line up as above.